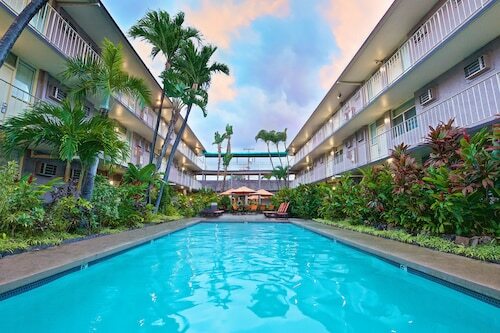 Located in Waikiki, this hotel is within a 15-minute walk of Royal Hawaiian Center, Honolulu Zoo, and Waikiki Beach. 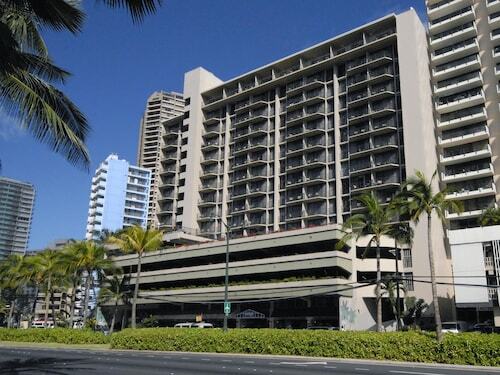 Waikiki Aquarium and Hawaii Convention Center are also within 2 mi (3 km). 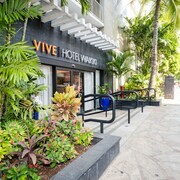 This iconic resort, reopened in 2009 after an extensive renovation, is located on the sands of central Waikiki, within the Royal Hawaiian Center on Kalakaua Avenue. 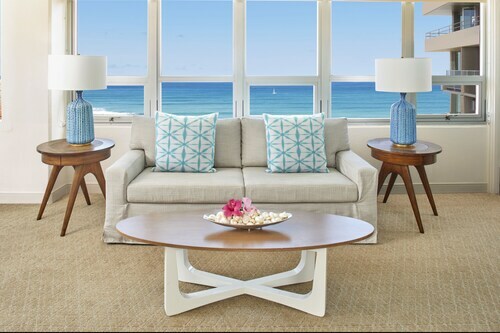 The Kahala Hotel & Resort is located on a secluded crescent beach in the exclusive Kahala area of Honolulu, only 4 miles from Waikiki Beach. 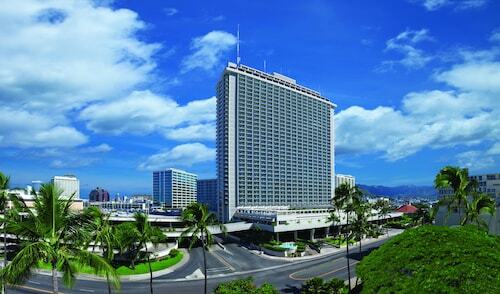 The Modern Honolulu by Diamond Resorts sits on Ala Wai Harbor, 3 miles (4.8 km) from downtown and a mile (1.6 km) from Waikiki Beach. Pearl Harbor is 10 miles away, and nearby shopping includes Ala Moana Shopping Center, a 4-minute drive, and Royal Hawaiian Shopping Center, 6 minutes away. 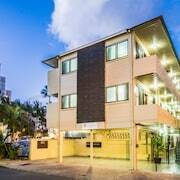 Set on 5 acres fronting Waikiki Beach, the luxurious Halekulani is within 2 miles of Ala Moana Shopping Center, Honolulu Zoo, the Ala Wai Golf Course, and the Honolulu Aquarium; the airport is 9 miles away. How Much is a Hotel Room in Oahu? 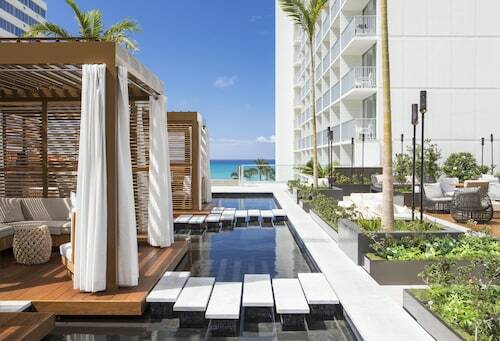 Hotels in Oahu start at $89 per night. Prices and availability subject to change. Additional terms may apply. If you're looking for paradise on Earth, head to Oahu. Home to the biggest city in Hawaii, Honolulu, Oahu is an island full of contrasts. It has white sand beaches near volcanic mountain peaks, cosmopolitan city streets bordering shaded jungle escapes, and a deeply-rooted local culture intermingled with a diverse, international community. 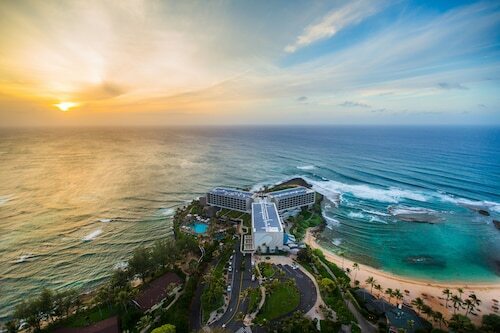 Plan your trip to one of the beautiful beach hotels in Oahu, and you can experience all of the stunning scenery and fascinating history this island has to offer. 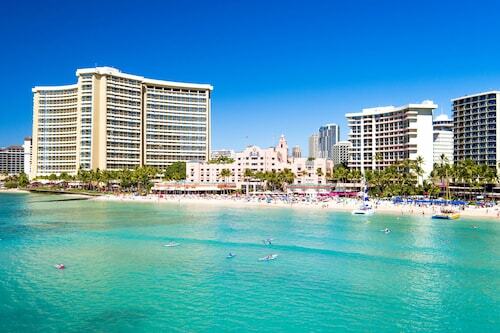 Beach lovers will rejoice on Oahu, which is home to more than 125 beaches perfect for swimming, sunning and surfing. For the quintessential Hawaii experience, head to the world-famous Waikiki Beach, which is lined with some of the most famous and luxurious Oahu resorts. You can take a beginner's surfing or standup paddle board lesson, or enjoy a cocktail or bite at one of the beachside restaurants on Waikiki Beach. If you're a fan of surfing, head up to Oahu's North Shore to watch some of the world's best surfers in action. Visit Waimea Bay, Ehukai, or Haleiwa to see the biggest waves. 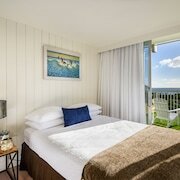 There are plenty of cheap Oahu hotels close to the North Shore if you want access to great surfing daily. Oahu is steeped in history. There are many opportunities to learn about the island's native people and culture. Close to the beach hotels in Honolulu are educational destinations like the Bernice Pauahi Bishop Museum--the state museum of cultural and natural history--and Iolani Palace, the former royal residence of the Hawaiian rulers. To learn about the area's agriculture and industry, tour the Dole Plantation; you can learn how Hawaiian pineapples are grown and sample local delights. Don't forget to order the Dole Whip. 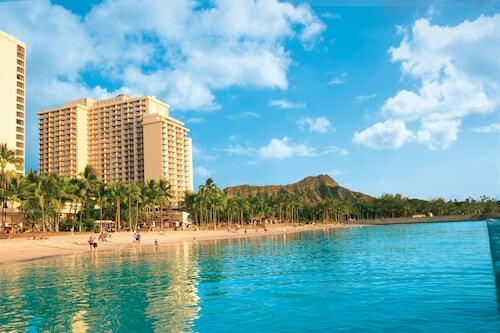 If you're ready for an escape to paradise, let Travelocity help you book one of the magical beach hotels on Oahu. 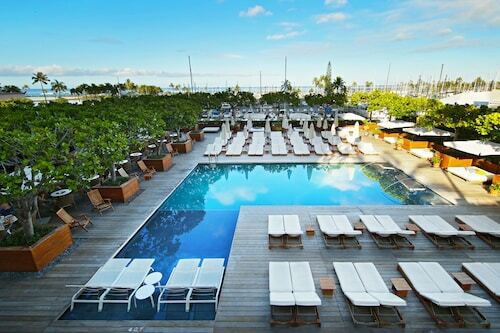 Once you arrive, sit back, relax, and soak up some rays. Aloha! The best part of the hotel for me was the friendliness of your staff. From the time we pulled up to the hotel (which was almost midnight) your staff was friendly, outgoing and the most pleasant to be around. Everyone was super willing to help with any questions and just overall happy to be dealing with us. Great price and location. The staff was very friendly and helpful.